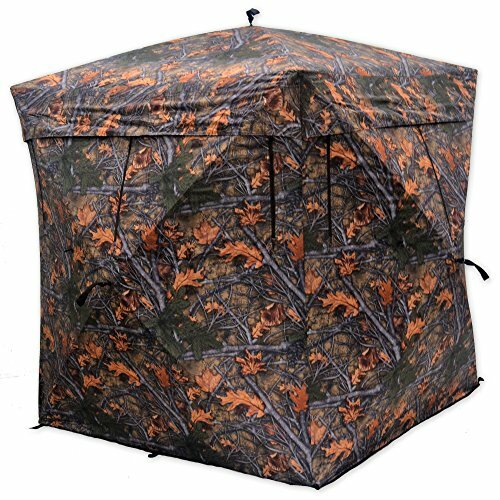 The Deluxe Hub Blind features a heavy duty water resistant scent containing 150 denier polyester shell, blackout interior, 4 shooting windows with shoot through mesh, built in storage pockets and a full sized door. Inlcudes backpack carry bag and ground stakes. If you have any questions about this product by Copper Ridge, contact us by completing and submitting the form below. If you are looking for a specif part number, please include it with your message.